Oakland is located in a region abundant with natural resources upon which we rely for food, water, energy, raw materials, recreation, and rejuvenation. Yet these resources are limited, and natural systems are threatened by the impacts of development, pollution, and over-consumption. City policies related to creek protection, zero waste, energy efficiency, climate change, land use, toxic materials, and other issues are designed to protect the health of our natural environment and make best use of natural resources. 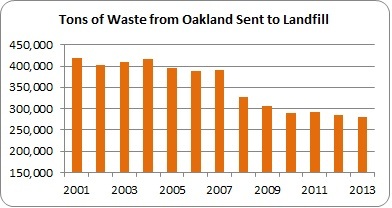 Recycling Increases 33% While Landfill Waste Decrease 27% - Since 2000, Oaklanders have recycled over 800,000 tons of cans, bottles, plastics, paper, yard trimmings, and food scraps, keeping them from the landfill. These materials have been used by manufacturers to make new products, saving essential resources and reducing greenhouse gas emissions and other forms of pollution. City Awards Ground-Breaking Zero-Waste Contracts - In September 2014, the Oakland City Council awarded franchise contracts for collection and processing of mixed materials and organics, and for landfill disposal services, to Waste Management of Alameda County, and a franchise contract for residential recycling to CaliforniaWaste Solutions. These awards are the culmination of a multi-year design and procurement process. Service highlights will include more cart size choices for recycling and organics, expanding residential organics collection service to all multifamily buildings, organics and recyclables collection services for all Oakland businesses, processing of commercial organics by EBMUD to produce natural gas for power, and increased illegal dumping abatement. New services will begin in July 2015. Successful Rain Barrel Program Saves Water and Reduces Urban Runoff - The City concluded its Rain Barrel Program, a three‐year initiative funded by the Clean Water State Revolving Fund and the Federal Stimulus program. Over 1,396 homes purchased and installed 2,708 rainbarrels and cisterns, for a total of 400,545 gallons of new rainwater storage. Rainbarrels help to protect our creeks and the Bay by reducing urban runoff, and reduce the need for homes to use treated potable water for outdoor use. Ettie Watershed Tree Wells - The City installed six stormwater treatment tree well units in its sidewalk planting strips in West Oakland. The project is part of a regional effort to monitor and implement pilot treatment activities for Poly Chlorinated Bi-Phenyls (PCBs) using EPA grant funds in partnership with the Bay Area Stormwater Management Agencies Association (BASMAA). The tree well units capture and filter stormwater runoff and will be monitored to determine how successfully they remove PCBs. Construction ended in February 2014; the project is now in the monitoring and adaptive management phase. Bay Friendly Landscaping Policy - The Oakland City Council adopted an ordinance in July 2009 requiring all City of Oakland, Oakland Redevelopment and public-private projects funded by the City or Redevelopment to comply with Bay Friendly Landscaping guidelines, reducing water needs and waste. City maintenance operations are also following these guidelines. Stormwater Management - On February 19, 2003, the Regional Water Quality Control Board, San Francisco Bay Region, issued a municipal stormwater permit under the National Pollutant Discharge Elimination System (NPDES) permit program to the Alameda Countywide Clean Water Program (ACCWP). The purpose of the permit is to reduce the discharge of pollutants in stormwater to the maximum extent practicable and to effectively prohibit non-stormwater discharges into municipal storm drain systems and watercourses. The City of Oakland, as a member of the ACCWP, is a co-permittee under the ACCWP’s permit and is, therefore, subject to the permit requirements. Provision C.3 of the NPDES permit is the section of the permit containing stormwater pollution management requirements for new development and redevelopment projects. Among other things, Provision C.3 requires that certain new development and redevelopment projects incorporate post-construction stormwater pollution management measures, including stormwater treatment measures, stormwater site design measures, and source control measures, to reduce stormwater pollution after the construction of the project. These requirements are in addition to standard stormwater-related best management practices (BMPs) required during construction. Beginning February 15, 2005, all new development and redevelopment projects for which the City has not received a complete Planning and Zoning permit application that create or replace one acre or more of impervious surface are required to incorporate post-construction stormwater pollution management measures. Beginning August 15, 2006, all new development and redevelopment projects for the which the City has not received that a complete Planning and Zoning permit application that create or replace 10,000 square feet or more of impervious surface are required to incorporate post-construction stormwater pollution management measures. Stormwater treatment measures are engineered systems that use physical, chemical, or biological processes to remove pollutants from stormwater runoff. Examples of stormwater treatment measures include landscape-based systems such as vegetated swales, infiltration trenches and detention ponds, as well as mechanical systems such as wet vaults and vortex separators. Stormwater site design measures are design techniques incorporated into new development and redevelopment projects intended to enhance the stormwater quality of a site by reducing the amount of impervious surface at the site. Examples of stormwater site design measures include permeable paving, landscaping strips and directing roof runoff to landscaped areas. Source control measures are structural and operational practices to prevent stormwater pollution by reducing the potential for contamination at the source of pollution. Examples of source control measures include incorporating roofs over outside refuse areas and equipment storage areas, connecting interior floor drains to the sanitary sewer and minimizing the accumulation of litter and debris on impervious surfaces. Oakland's watershed has 15 main creeks with over 30 tributaries with over 40 miles of open creeks. Because of this unique and precious resource, the City of Oakland, by implementing the Watershed Improvement Program has made environmental protection of creeks a priority. The City of Oakland, along with the other cities in the county, is a member of the Alameda Countywide Clean Water Program (ACCWP). ACCWP acts to limit stormwater runoff pollution and to keep creeks and the Bay healthy. 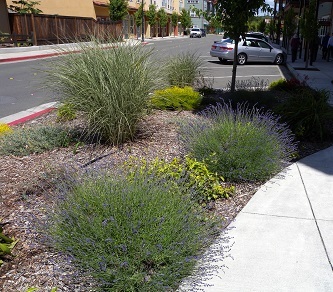 Greening the Urban Landscape - Oakland implements urban greening projects such as rain gardens, flow-through planters, vegetated swales, permeable paving, and tree plantings to reduce flooding, improve water and air quality, lower ambient air temperature, and improve quality of life. Projects being planned or recently completed include the Lakeside and San Pablo Green Street projects, a parking lot Biotreatment Retrofit at Oakland’s Fire Station 1, and new tree well units inWest Oakland. Fire Station 1 included conversion of “grey” infrastructure (asphalt, concrete) to “green” infrastructure (permeable pavers, rain garden, landscaping, and trees) that slow stormwater runoff, remove pollutants, and improve water quality. The new tree wells in West Oakland capture and filter stormwater runoff to remove Poly Chlorinated Bi-Phenyls (PCBs) before reaching the Bay. City Helping Businesses Reduce their Ecological Footprint ‐ With funding from the Federal Environmental Protection Agency, Oakland Public Works recycling staff have teamed up with StopWaste and Waste Management Of Alameda County on an aggressive outreach plan, dubbed ReThink Disposable, to minimize waste and increase recycling among Oakland businesses. These activities not only help to reduce the amount of trash in streets and the Bay, they also help businesses save money as they reduce their use of disposable items such as straws, tasting spoons, and to‐go containers. 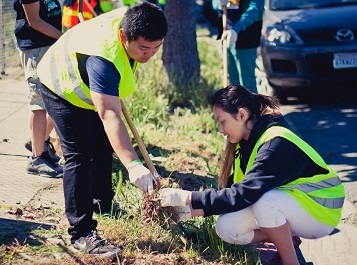 “Adopt a Spot” Program Receives American PublicWorks Association’s Sustainability Practices Award - Since 1992, the Adopt a Spot program has mobilized community participation to improve Oakland’s natural and built environment. Adopted “spots” include parks, storm drains, litter containers, trees, creeks, and shorelines. Volunteers remove trash and invasive species, plant native species, and create new greenspaces – making the city more livable for people and better for plant and animal biodiversity. The program provides education, tool loans, project coordination, and trash collection. Volunteer efforts have eliminated trash that would otherwise clutter streets, clog waterways, and contaminate the Bay. In 2013, the program held approximately 3,000 cleanup and beautification events, supported by 170 community groups, thousands of volunteers, and almost 60,000 hours of community service at approximately 400 sites across the city. Urban Forestry Getting a Boost ‐ Oakland has begun development of an Urban Greening Retrofit Plan that will include consideration of the stormwater and water quality effects of tree species selection and planting methods. The City is engaging with local urban forestry organizations in the project. City staff are in the process of mapping facilities and reviewing the street tree list and maintenance guidelines for possible revisions, in order to better meet City sustainability goals and maximize criteria such as air quality and stormwater capture. 2014 Earth Day - In 2014, nearly 2,500 community members helped clean and green 90 locations throughout Oakland, donating approximately 7,700 hours of service. Volunteers picked up approximately 161 cubic yards (equivalent to 966 32-gallon garbage cans) of trash, as well as 416 cubic yards (or 2,496 32-gallon garbage cans' worth) of green waste. Volunteers also removed graffiti, and performed weeding, planting, and creek restoration projects. Port of Oakland Maritime Air Quality Improvement Plan - The Port of Oakland released its Maritime Air Quality Improvement Plan in April 2009, guiding Port efforts to reduce air quality and health impacts of its maritime operations. 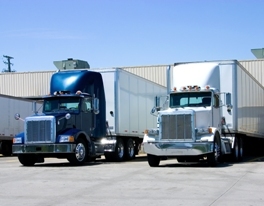 Truck Particulate Filter Replacement Program - In July 2009, the Port partnered with regional, state and federal agencies to provide $22 million for truck retrofits to help truckers meet new state air quality requirements. Lakeside Green Street Taking Constructive Steps ‐ The Lakeside Green Street Project is a 14‐acre “complete green streets” project, intended to facilitate pedestrian and bicycle use, calm traffic, increase parklands, improve park facilities, and protect water quality with drought‐tolerant, native plant landscaping. The project will include rain gardens that treat stormwater runoff, a tree‐lined pedestrian promenade, bike lanes on Harrison Street and Lakeside Drive, a children’s play area, and Snow Park renovations. Two acres of lawn and impervious surfaces will be converted to drought tolerant, native plant landscaping, new pedestrian pathways, and a pervious running trail along the Lake. Funded in part by Oakland’s Voter‐Approved Measure DD, the project is scheduled to begin construction in 2015. Leading By Example - The City of Oakland continues to lead by example in greening its own facilities and operations. In 2009, the City achieved green business certification through the Alameda County Green Business Program for its downtown City Center complex (City Hall, 150 and 250 Frank H. Ogawa Plaza buildings and outdoor plaza area). Several other City facilities are in the process of re-certification.